Hockey Arena is on-line hockey manager, where you lead your own team, you're fighting for the promotion to the 1st League and you represent your country in the World League. You have the chance to win the election, become a national team manager and play with the national team on the World Championship. Your opponent is not the computer intelligence, as in other games, but thousands of another vital people of more then 50 countries of the World. 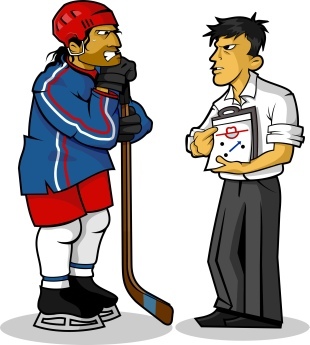 The game tries to simulate real process of hockey seasons, the teams could promote or demote, new players are coming to the team from junior academies, the players are getting older and their abilites, influenced by the age, are decreasing. The new countries are created on a regular basis and with the growing diversity of the manager community, translation of the game to new languages takes place.